3555-CZMPU-DST is rated 4.7 out of 5 by 21. Rated 4 out of 5 by AtlantaX from Nice looking faucet, easy install, works well. 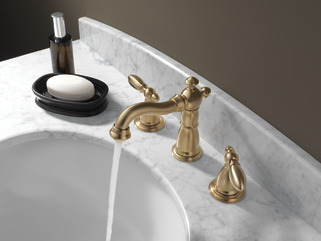 First, this is a beautiful faucet that looks and feels great. Second, it is daunting to open the box and see “all the parts” but honestly, if you stay calm and take everything out, you’ll see that they conveniently bag each set of parts together nicely and the instructions are pretty clear. So, step one has a corresponding bag of parts, step 2 has one, etc. very easy. Two issues that you might have. First, it’s tight under a counter and behind a sink so be prepared for some gymnastics to install this and having the right tool might be difficult given the space you have. Be calm, install on. Second, I’ve installed 5 of these now and they all have a tiny leak. I don’t know why, but even on the one my plumber installed, he had to use plumbers putty in the same spot. The leak is small and it’s on the metal tailpipe under the drain where the smooth part meets the threaded part. All of them leaked there and all were fixed with a good cover of putty after everything was tightened up. Since my plumber did it, I don’t think there will be an issue. prices fluctuate wildly by time and vendor, expect to pay HALF or less than the list price. Rated 5 out of 5 by Country girl from We were not disappointed when we received this Delta faucet. 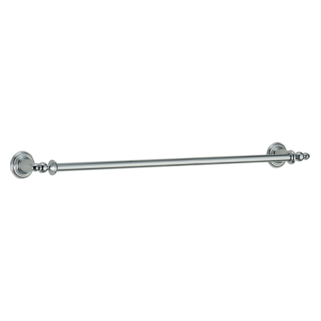 It is very heavy.Made of a good quality metal.The style of it is perfect for our log home.We ordered it in the bronze finish and love the color of it. You definitely get what you pay for with this faucet. 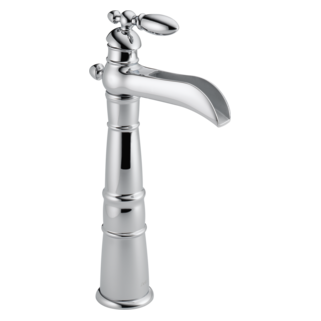 Rated 4 out of 5 by karen from LOVE this faucet! It is the perfect update to an old bath needing a facelift. We are in a 1930 Tudor, and updated nearly everything, but could bring ourselves to tear out rookwood tile still in viable state. Putting this faucet on the pedestal sink, and adding a new champagne bronze light fixture is the perfect mix to honor the old, while making it snazzy with new. The only reason for a 4 instead of 5 stars is the darn price. While you get what you pay for in terms of quality and style, Delta is still so spendy! Rated 5 out of 5 by Shawn from Cottage charm to perfection. 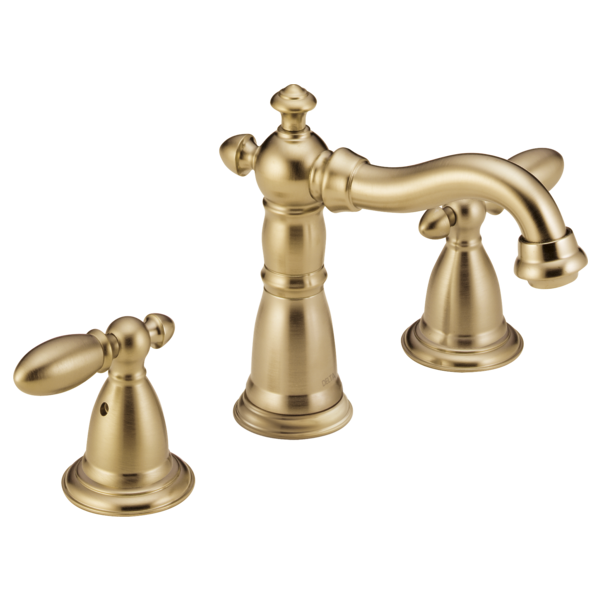 The Delta Victorian series is the perfect faucet design for many styles. From Victorian to seaside to cottage, one cannot go wrong with the elegance of this faucet. 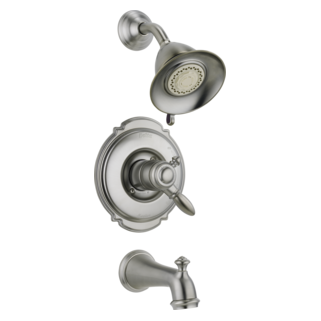 Rated 5 out of 5 by Amz from Classic faucet! We had this faucet in another house and liked it so much we bought it for our new house! The design is classic! And Delta makes a good product. Rated 5 out of 5 by Steve86 from Delta 3555-SS Bought 2 faucets and both work flawlessly. Easy installation with the provided accessories. The fit and finish are top notch. Tech specs for Victorian two handle widespread bathroom faucet model 3555-MPU-DST does not provide minimum clearance to back splash dimension. Can you tell me what minimum clearance to back splash is required? Is it possible to get a replacement cold water stem/valve, or even just the seals? Is the Victorian series available in 2 tone? yellow and silver (polished brass and bright chrome)? I have an older bathroom and need to replace some of the fixtures; the originals are all 2 color. Need faucets, towel bars, &amp; tub and shower trim. Thanks! handle and escutcheon number for a 3555 rb mpu dst? I need to replace the valve body for one handle. The threads are out of round and I cannot get my bonnet nut back on. Does the drain work with a sink that has an overflow? My sink has an overflow hole that will drain the sink if it gets too full. Does the drain on this faucet provide an opening to allow the overflow to drain? Does this faucet (3555-MPU-DST) come with handles? Or do they have to be ordered separately?